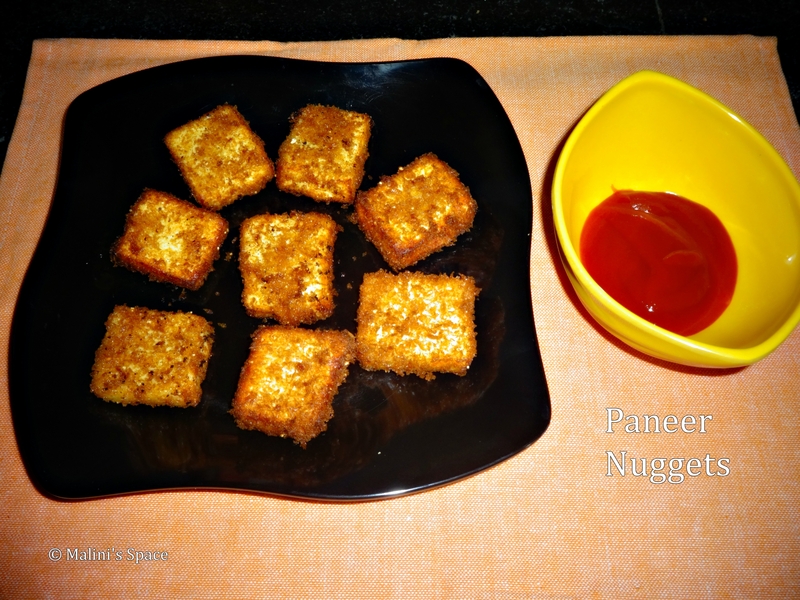 Paneer Nuggets are a great snack, everyone would love this recipe. This is basically a deep fried snack, so calories and fat would be a bit more when compared to baked snack. Once in a while cheating ourselves for the home made snack is okay for me. 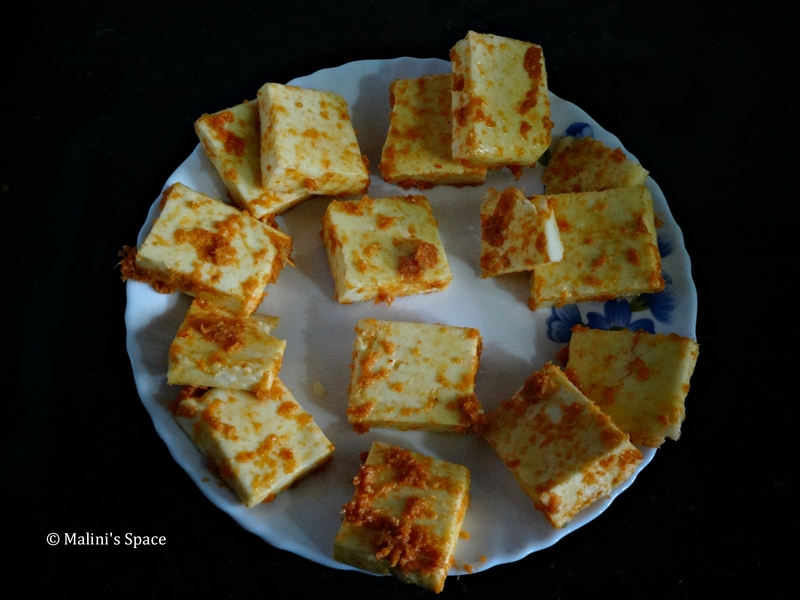 I have used home made paneer here, you can use store bought paneer as well. Soft paneer is a better option for this recipe. Get all the ingredients ready. 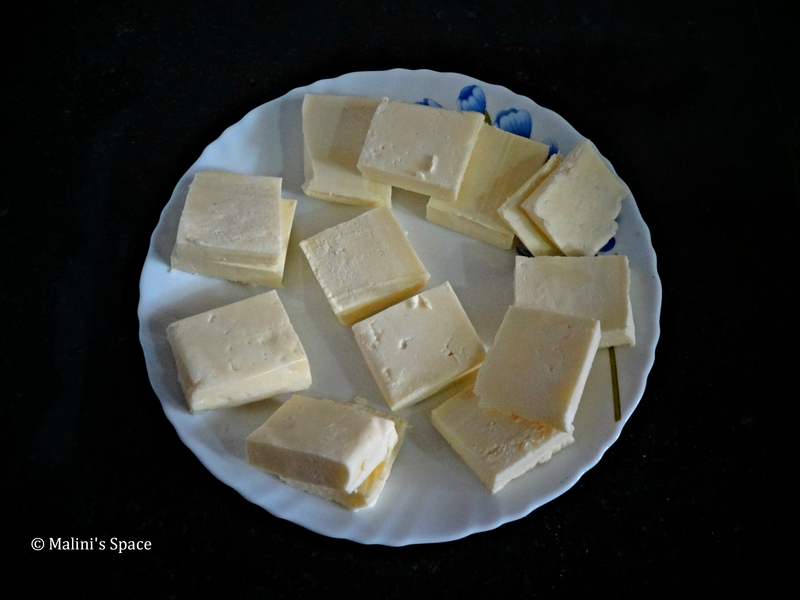 Chop the paneer cubes evenly. 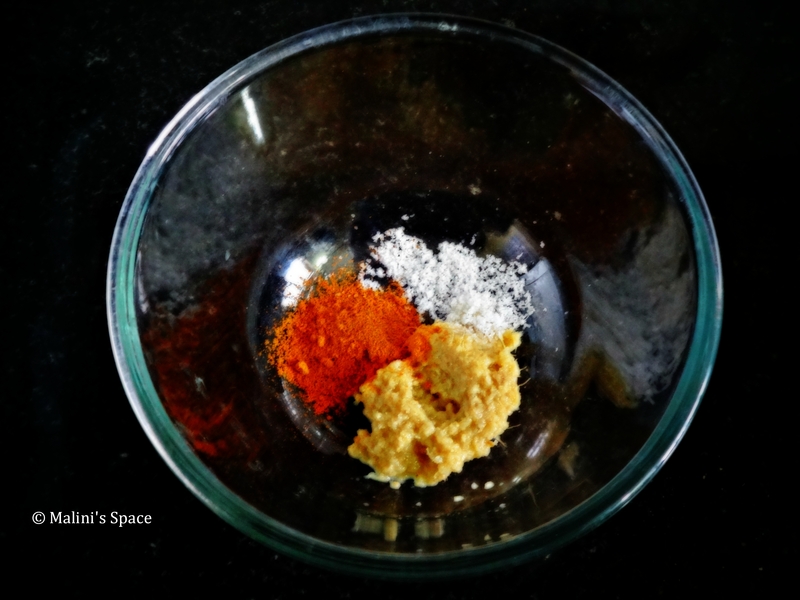 In a mixing bowl take ginger-garlic paste, chili powder and salt. 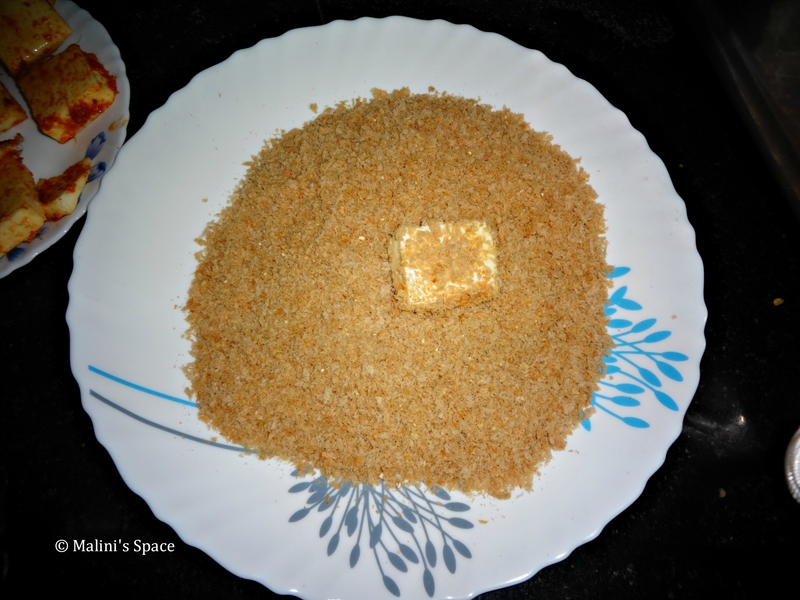 Mix everything well and coat the paneer cubes in that paste. Allow it to marinate for 30 mins. 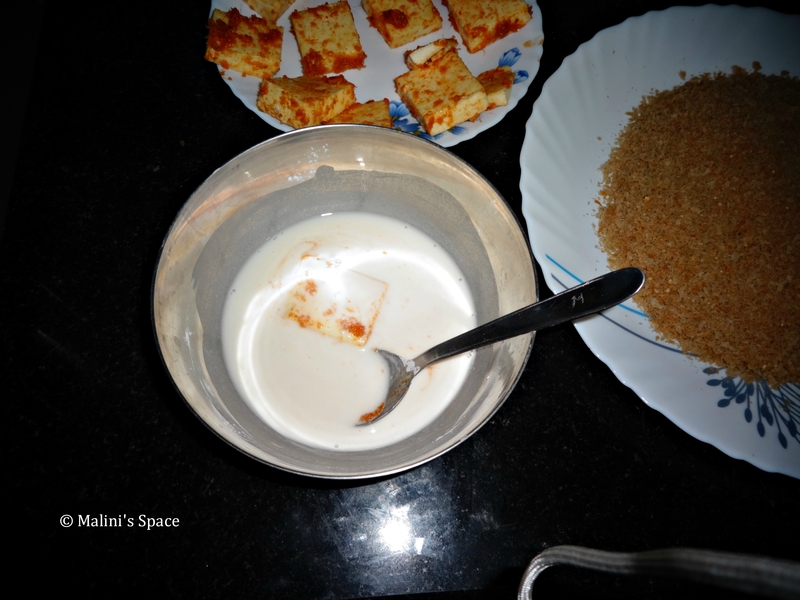 Meanwhile, prepare the batter, take Maida, corn flour, salt and water. Mix everything well and prepare a smooth batter without any lumps. Now get the bread crumbs also ready. 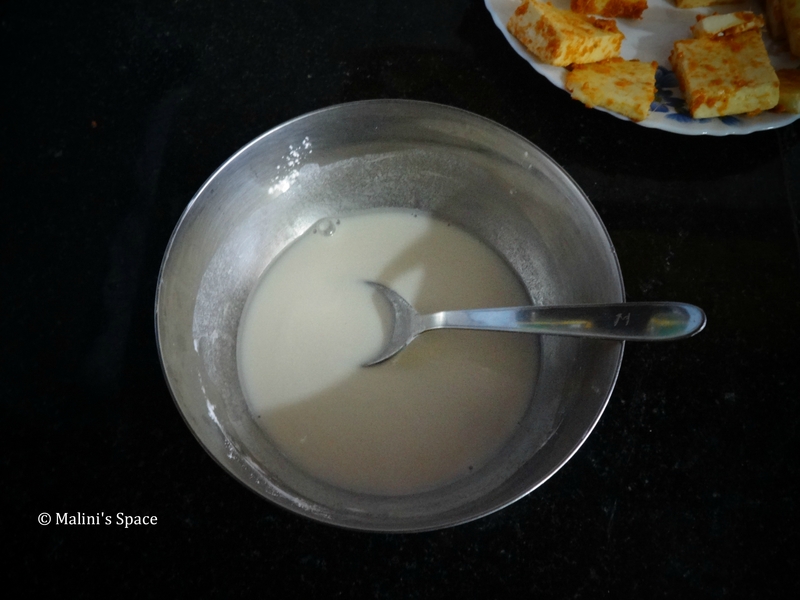 Now dip the paneer into that paste and coat well. Now coat with bread crumbs. 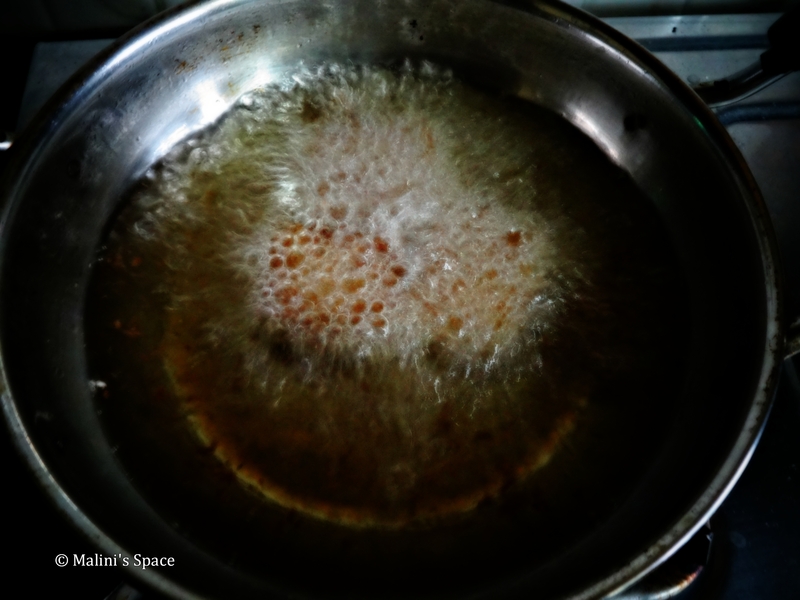 Deep fry the paneer in hot oil, fry on medium flame. Flip the sides, fry until it turns golden brown. Serve this yummy paneer nuggets with tomato sauce or chutney. It’s a quick and easy recipe. Thank you. 🙂 We call it as paneer.. It’s Cottage cheese.. If you find it. 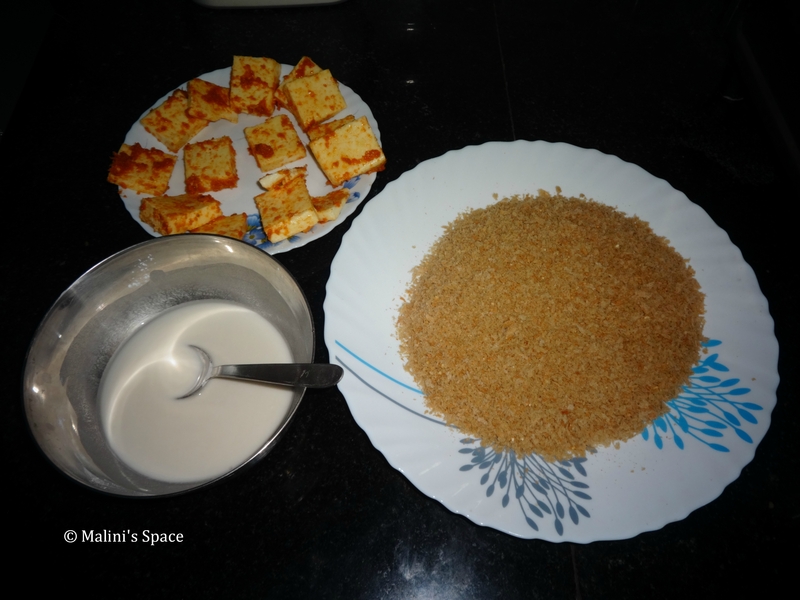 I am sure you would love this recipe..
thank you…ordinary cottage cheese will do?